The main concern of Dr Jarvie’s book is the relation of belief to action. He argues that people act in society because of beliefs, because of ‘the way they see things’. There is the world of physical and social conditioning – where fixed roles, tropisms, adaptations seem to operate; there is the world of mind – where action, alternatively, seems to originate; but then there is Karl Popper’s ‘third world’ – where dwell the objects of thought (ideals, theories, beliefs, values) which ‘directly affect how people act, and thus affect the way the world is’. Reform, change, improvement, modification, all proceed from the competitive interaction between our private beliefs about the world, and their ‘third world’ brothers. 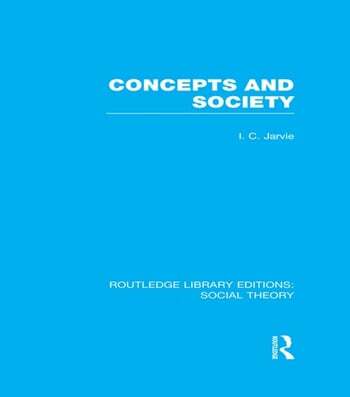 Jarvie contends that the struggle of privately held beliefs to realize themselves in the world through the actions of their believers is a fundamental force behind social change.